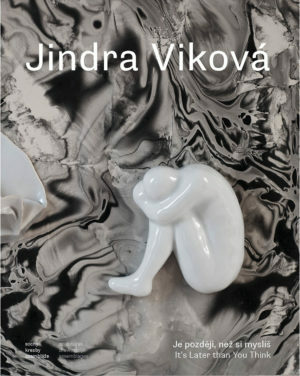 Jindra Vikova belongs to a generation of artists who found new techniques and expressive possibilities in ceramic art in the 1970S. 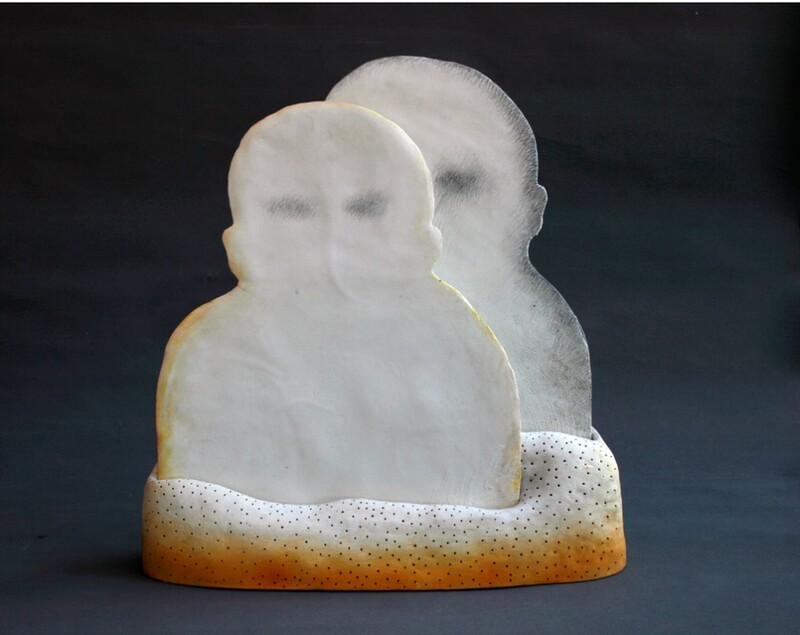 To Vikova that meant above all the chance to connect painting and objects and at the same time to find unusual uses for materials .From the beginning she has been interested in motifs featuring figures, and her work combines a surrealistic imagination and Dadaist games. Her work always has a deeper subtext which speaks of mutual relations, human desire and dialogue with one’s surroundings. 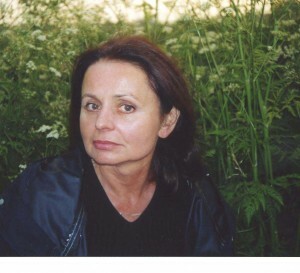 Jinara ViKova’s work has seen her placed in an international context from the beginning. At the same time she also crosses the borders which connect her with ceramic art. Her pieces, installations, paintings and works with photo-material always have an existential character, which corresponds to her constant search for new expressive possibilities. If we follow Jindra Vikova’s work over time it is clear that she has always sought the most economical and simplest form of expression. 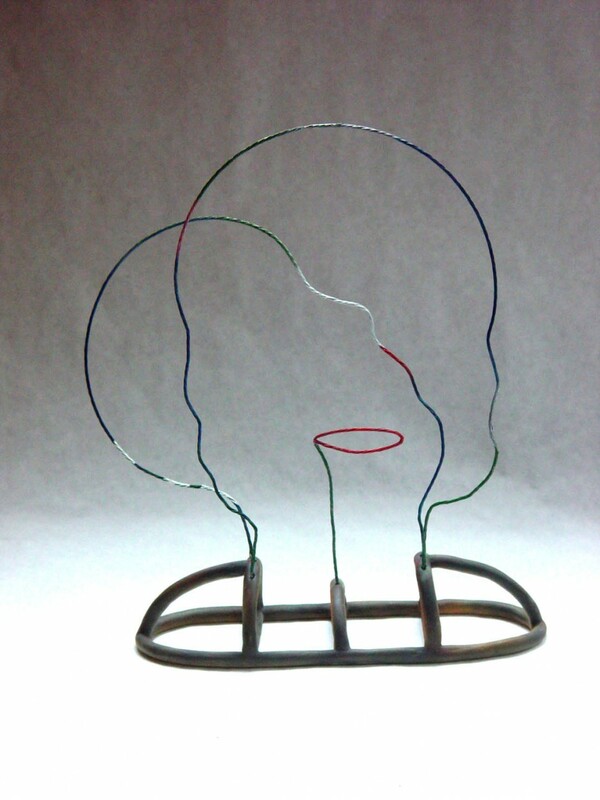 In the 1980s she produced symbolic heads and faces. Their secondary attributes are in some cases intensified by painting. At the same, time however, there are signs of a certain conceptual approach which the artist has to this day. Her works become a metaphor for human actions. 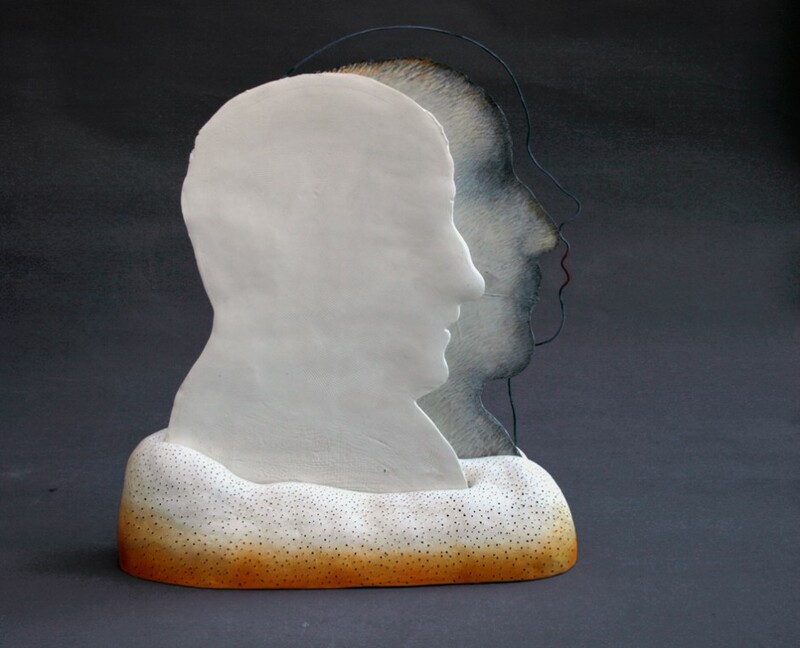 Of the artist’s work in the 1990s, her porcelain heads are the most important. Thin, as if cut from paper, they absorb only the light surrounding them and create their own poetry .The 1990s indeed were full of other new approaches. Her torsos are full of disquieting secrets and transformations. At the turn of the old and new millennia Jindra Vikova has surprisingly come out with many new works which appeal to us by force of their intimate human character and the form of the installation. Procreation suggests an expectation that a palm print or artistic sign can suffice to evoke further ideas about presence in time and its passing. In the same period she has also created a series of human figures, most of them in curled up positions, accompanied by real objects. Like a measure of fate between the living and the non-living, the contrast of a borderline.